Mini sessions are a short, themed photoshoot lasting 20 minutes. Perfect for wriggly tots, energetic kids and less enthusiastic teens. Planned to show off the beauty of each season, mini sessions are only available on specific dates of the year. Enjoy some relaxed portraits and experience a taster of a full photoshoot with Photographvie. Mini sessions are suitable for children, parents, and grandparents. For larger family groups or a longer session which will include a greater variety of photos and more time to settle children, please enquire about a family photoshoot. A 'what to expect' guide will be emailed to you before your photoshoot which will include details of exact location, what to do in bad weather and a full product guide. Included with your session fee is the photoshoot, professional editing and 3 digital images. At your viewing and ordering appointment, you can expect to choose from a gallery of portraits with the option to add on any of the packages from the mini session product guide. 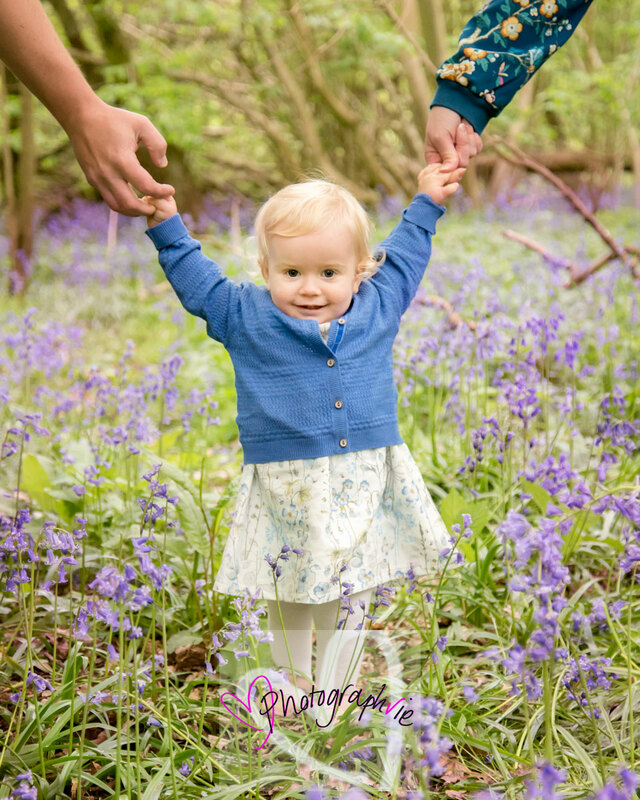 This year there are 6 mini sessions to choose from; Spring Blossom, the popular Bluebell photos, Summer at the River, Apple Picking in September and of course the sell-out Autumn Leaves at the end of the year. Also, new to this year we have 2 ‘Day at the Beach’ mini sessions. Mini sessions cannot be used in conjunction with any discounts or vouchers. Previous customers & 'Year of Minis' package customers have priority booking. Can't make the date .. Incorporate any of these themes into a full photoshoot (subject to availability).